Windham Weaponry was at the SHOT Show in Las Vegas from Jan 15th to 18th. While there, we presented a large check to the Paralyzed Veterans of America Outdoor Recreation Heritage Fund. Windham Weaponry seen Worldwide!… We’ll be at the IDEX Show in Abu Dhabi, United Arab Emirates if you happen to be in the neighborhood. And don’t forget from May 3rd to 5th we’ll be at the N.R.A. Show (Booth #5013) in Houston, Texas. Its open to the public and we’d love to see you! For people who want to change out the rear aperture in their A4 carry handle, I have outlined here how to properly do so. Some people like to replace the rear aperture with a tritium night sight for low light shooting conditions. In these instructions I have simply taken apart and reinstalled the stock aperture, but the directions are the same when reinstalling a tritium night sight. Make sure weapon is unloaded. Wear safety glasses. Remove carry handle from upper receiver. With a small hammer and a 1/16″ punch, drive spring pin out about 3/8″. Pull out the punch while holding the knob and slowly pull the knob off being careful not to lose the ball bearing and spring in the knob. It’s best to hold the assembly so the knob is facing down and pull the carry handle away from the knob. Then gravity will keep the spring from falling out of the knob. The ball bearing itself may be stuck to the base with oil. Place ball bearing on top of spring and set the knob aside. Unscrew the aperture screw and pull it out of the aperture and sight base. You may now remove the rest of the parts. Install the flat spring as shown into rear sight base. Place aperture on top of flat spring as shown and push aperture screw in through the base and the aperture. With a plastic mallet tap the top of the aperture while pushing on the screw until it enters the hole in the other side of the base. Screw aperture screw in lining up the index mark on the aperture with the middle index mark on the base as shown. Place windage knob back on the aperture screw. Push the knob on lining up the spring pin hole with the hole in the screw. Push 1/16″ punch back through the hole in the knob and the screw to hold the assembly together. With a 5/64″ (No. 2) pilot punch, tap spring pin back into the windage knob. Re-center the windage knob and you are finished. First I want to thank everyone for their patience at this very busy time. We are all working hard to fulfill the needs of our customers. We get a lot of questions about where to purchase our rifles. I would like to clarify the rifle ordering process. We do not sell rifles on our website. The rifle will need to be purchased through your local FFL gun dealer who will order it from one of their distributors. The lead time on rifles will vary depending on backlog of the distributor. aftermarket add on’s like the ambi-safety (I’m a “southpaw”). Thanks again for putting out a GREAT product!!! After a very difficult time since the recession really hit my field a few years ago I finally decided to do something for myself. After doing without everything but the basics to survive for the past 3 years, I decided to treat myself to your SRC rifle. I wasn’t expecting much since it was very reasonably priced, so you can imagine how pleasantly surprised I was when I saw how wonderfully it was constructed and how well it fired. I cannot praise you enough for making such a great product. Please let all your staff know they are appreciated. I wish I could show my support by purchasing more of your products but with the uncertainty of my career I can only promise you this: I will tell everyone I know how great this rifle is, I will let all my friends and acquaintances try it and I will post positive reviews on every gun forum that I belong to. Again, thank you for making such a quality product that a plebeian such as myself can afford. What did u do with your AR15 today??? MechArmor Defense Systems has developed the TacOps-1 Charging Handle which offers both ambidextrous operation and ease of use with large scopes or other bulky optics. The “T” shaped handles extend farther out from the receiver for quicker grasp and operation, and a patent pending “dual mode” push button latch extends from the rear of the handle for easy right hand operation when shooting from the prone position. A 42% larger heavy duty roll pin is employed to keep the latch tight on the handle and a 7 pound stainless steel latch spring keeps it locked tightly onto the receiver to avoid possible blow back. This quality handle is machined from 7075 billet aluminum with a black hard anodize finish. 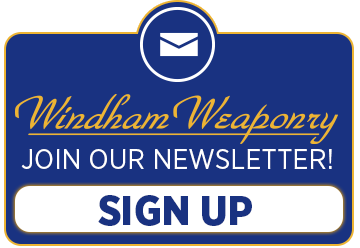 Made in the U.S.A.
As we now enter a new year, it is full steam ahead for the LE Division here at Windham Weaponry. I personally want to thank all of the officers and departments from around the country for your orders and kind words. Your patience during these times is also greatly appreciated. I have a new assistant, and when I say new, she is new to me, but like most of the Windham Weaponry family, she is not new to the business. I would like you all to welcome Sue Gilbert aboard as she will be my right hand during these busy times. I have been traveling for most of January and have been to “SHOT Show and Back”. The show was great and it was a pleasure to put a face to the names of those that were able to stop by the booth. 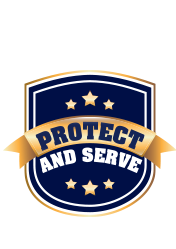 I will be at the Maine Association for Police Banquet on January 26th, as well as the Maine Chiefs Convention coming up on February 7th. I know the MAP Banquet is a private function, but for you Chiefs out there, I would love to see you at the Maine Chiefs Convention. Tammy began her career in the gun industry after working several years at Bridgton knitting mill and upon its closure and relocation found herself employed at Bushmaster in the Quality Control Dept. in early 1999. From there she worked her way into outsourcing, where she eventually became the operating Outsource Manager and remained with Bushmaster until the very end before its move in April 2011. After deciding not to uproot her family and take the offered relocation to New York with Bushmaster, and unsure of where life would take her and her kids from that point forward, Tammy was elated when the emails came for the opportunity of going back to work with Richard Dyke and family for the soon to be new company, now known as Windham Weaponry, in the summer of 2011. It is one this employee certainly would not refuse and a blessing to her and family. Tammy returned with her knowledge of the QC and Outsourcing areas as Quality Control and Outsourcing Manager, and keeps her team of 14 employees on task; from inspecting multiple daily parts, operating and maintaining a finish grind room, to directing trucks and drivers to and from various vendors throughout New England, dropping off and picking up of various product in process, along with dealing directly with the local outsourcing companies on product flow, expediting and/or any quality issues. Needless to say, this department is very ongoing and demanding, but one she seems to really rather enjoy. In her spare time, Tammy very much enjoys her partner of 16 years, along with their blended family of 5 children and their newest addition of a Grandson in December 2012. She also enjoys taking scenic photos, spending time with her dogs Otis & Milo, taking them out for long walks and camping with them, family and friends in the summer months. Fishing is also a hobby Tammy enjoys, mostly in the summer months, but she does venture out for some ice fishing in the winter months as well. She also very much enjoys watching her children in their sporting activities. Both of her sons are very active in baseball from high school into college, along with college basketball, while her daughter plays high school softball and also on the Town team. Tammy strongly feels her biggest accomplishment has been watching her now mostly young adult children graduate high school, 4 of them consecutively over the past 4 years, and helping them finding their way in life, while helping her 2 stepdaughters plan their future, 1 working hard with a beautiful new baby and taking college classes, and her youngest coming up through high school.